In a now-annual tradition, we're celebrating Mother's Day by calling out the very worst moms on TV this season. This year, we're particularly grateful that none of these women raised us. The truly scary thing is that only one is a repeat from last year, and that's with leaving reality TV mothers off the list, which means some truly twisted matriarchs are on the airwaves now. 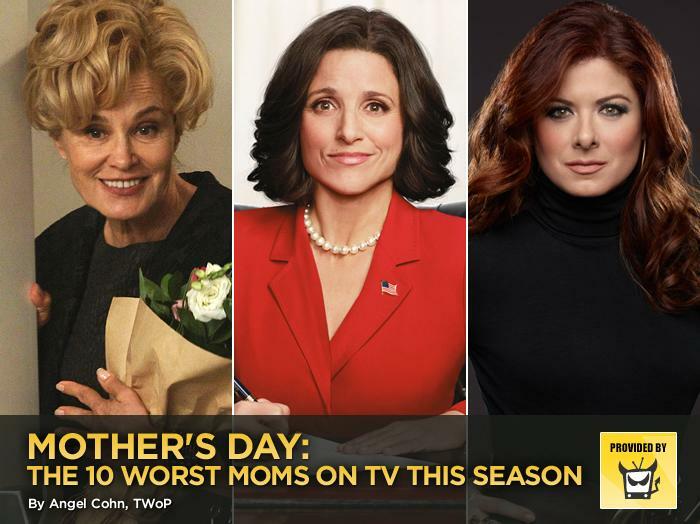 In a now-annual tradition, we're celebrating Mother's Day by calling out the very worst moms on TV this season.